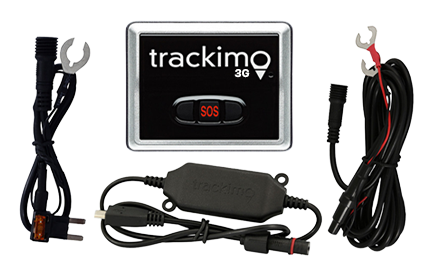 Trackimo is an invaluable tool for monitoring either a single car or an entire fleet of vehicles. 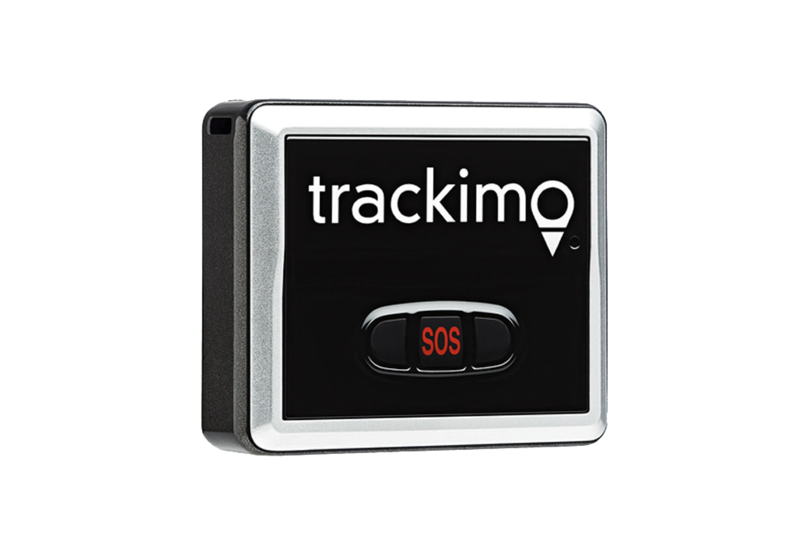 A real-time vehicle gps tracker that gives you up-to-the-minute speed and location updates, including text or email alerts based on parameters you set in advance. 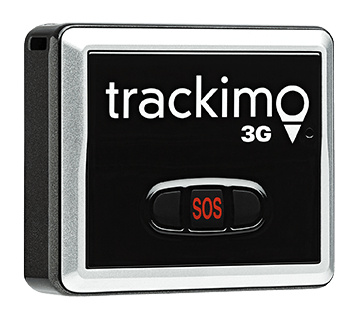 If you’re wondering if your driver has gone off course or if your teen has been speeding, Trackimo gives you the answers you need. You can opt to find the quickest, most economical routes in getting your vehicles from one point to another — saving operations time, fuel, and money. 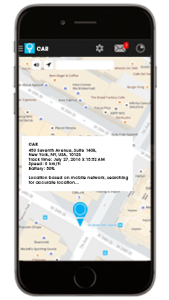 Helps you pinpoint bad driving habits by monitoring speeds, engine idling and unauthorized trips that cost your business valuable time and money. Research suggest that people are prone to being more cautious when they know they are being watched, which means that they are less likely to drive recklessly, overall improving their habits behind the wheel. You can gain control over your operations as you can look over the entire outgoing business behind the desk, ensuring that things are running smoothly over the course of the day and even into the night. You will know at all times where your vehicle is located. If it was ever stolen, you would have little to no trouble tracking it again. 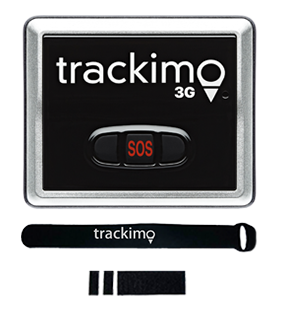 Trackimo GPS and GSM provide real-time tracking of your vehicle via Web, iOS, and/or Android app. Gain complete insight into the security of your precious assets. Allows you to define a safe zone by creating a virtual fence. 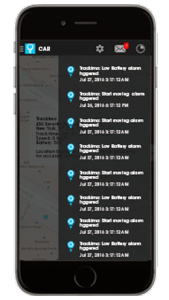 Receive alerts if your vehicle leaves the virtual confinements that you’ve created. 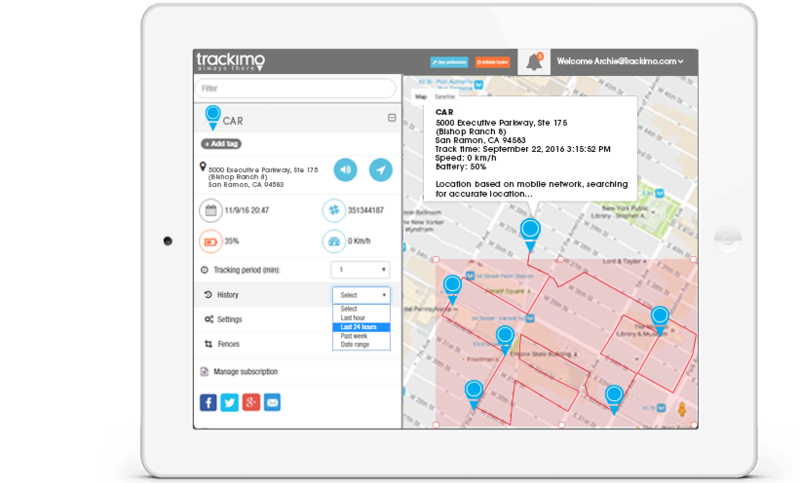 Historical Views allow users to review a vehicle’s history, making it possible to track past movements.